We would like to thank the team of members associated with WOOF (The world of furry friends) for the contribution they made towards the shelter furry friends. 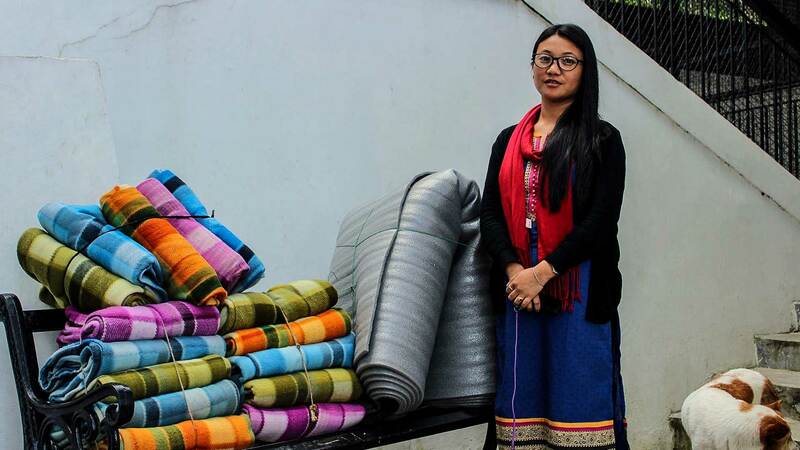 WOOF member, Paruka Chettri is a generous lady who has done so much for the stray fur babes of Darjeeling. Every morning she takes a walk with her pet and feeds the other stray animals of Chowrasta and Mall road. She carries a big bag full of pedigree only to feed the starving dogs of Chowrasta and Mall road. She has also been of some help to Darjeeling shelter for spotting dogs before they are caught for vaccinations or any other ailment. 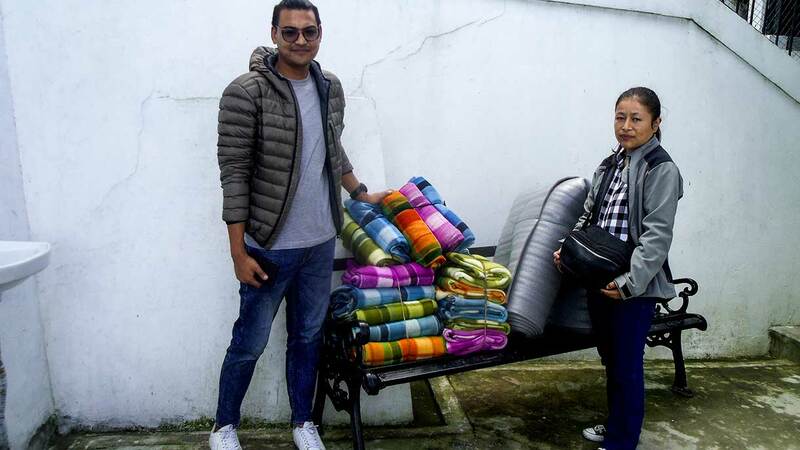 She along with the team member approached Darjeeling shelter a week ago, and donated sets of blankets and profiles for the furry friends that were bought out of the money they procured from playing ‘Deusure’ which is a traditional song sung during the festival of lights similar to Christmas carol. When everybody was busy merry-making these members thought a bit different just for the voiceless and raised money to shroud them in the harsh cold winter and help them beat the cold. We cannot thank you all enough for giving a thought to the shelter furry friends; they will be very much pleased for such a gift and would love to snuggle up under those blankets when chill winter sets in.